Home » Comics » Declan Shalvey to Help Out Steve McNiven on Return of Wolverine? Steve McNiven was announced as the artist on the upcoming high-profile The Return of Wolverine series. And he has been showing off his very-Barry-Windsor-Smith-influenced new style for the project. But Bleeding Cool gets the word that it won’t be the only art style seen in the series, and that artist Declan Shalvey has been drafted in as a co-artist working on the series. It hasn’t been announced, and this cached listing for Declan Shalvey’s variant cover for issue 2 of the series has been deleted from Diamond’s website — might it have given the game away? McNiven hasn’t been the timeliest of artists on occasion in his career. Delays to the original Civil War saw all the crossover series also delayed, while the Nemesis series has yet to see its much-delayed sequel. And Marvel did appear to build in a long lead time to this new series. 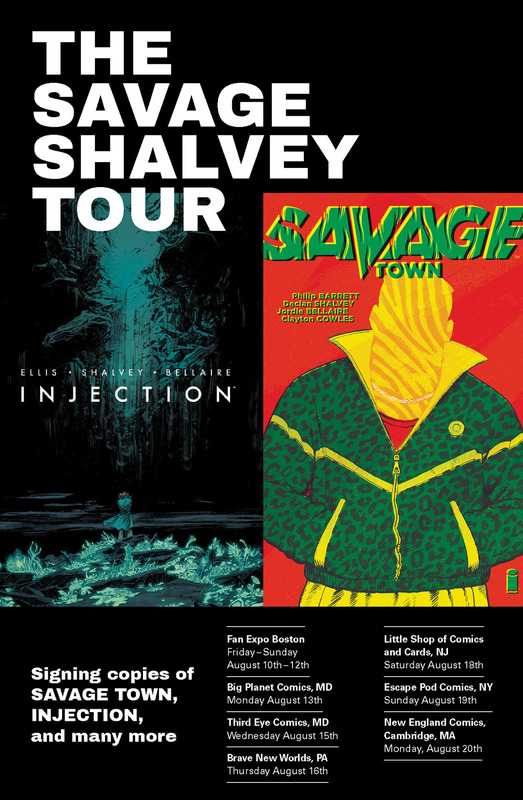 Still, if true, it should be a nice US-profile-raiser for Shalvey, who already enjoys a strong fanbase on this side of the pond, his work including Injection, Savage Town, Deadpool vs. Old Man Logan, Moon Knight and more.